The other week, when I was teaching at the computer club I volunteer at, I told one of the children in my computer class to turn the volume on his terminal down. He turned it down, but less than a minute later, the volume was up again. I asked again. The volume went down. Then up again a minute later. The volume went back up. This time I gave no warning. I simply reached across and turned his terminal off at the wall. The boy – aged 11 – burst into tears and started to howl at the fact that the work he’d been doing had been lost. For some reason, I had no sympathy. Ever since, when I’ve told him to turn the volume down, it has stayed down. Kids learn fast. They know what they can get away with – and what they can’t. I see kids come to class whose parents are virtual slaves, buying their children everything the child desires, and doing everything the child wishes. I see parents who don’t let their children do or say anything, holding such a tight rein it’s only a matter of time before the kids break free. And I see everything in between. 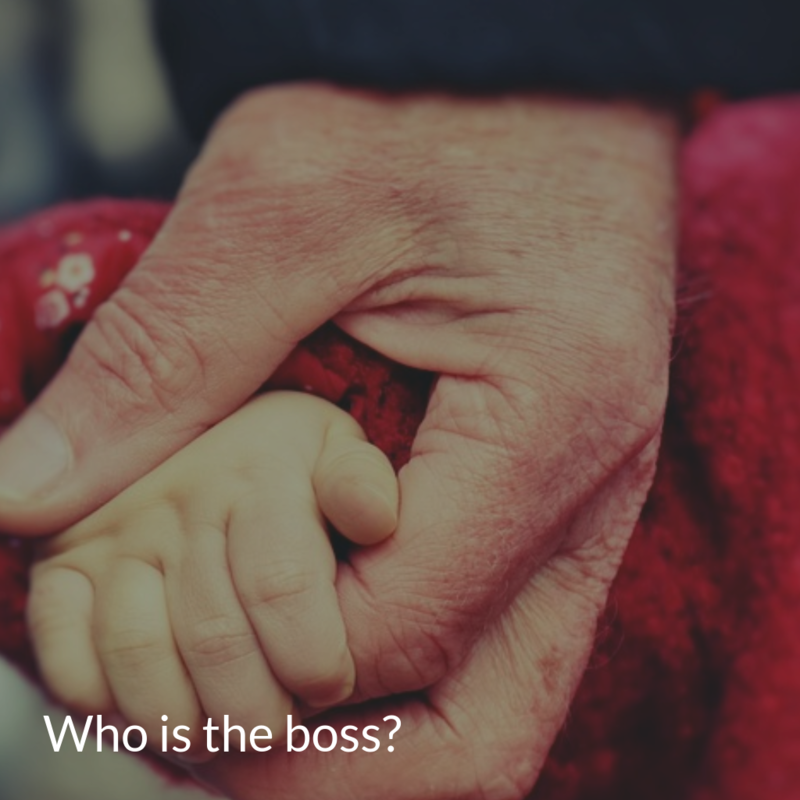 In any relationship with a child we need to ask who is the boss? If the answer is the child, we’re probably getting things wrong. You remind me of the worst teachers I had at school. The ones who didn’t see school as an opportunity to help kids learn, but rather as opportunities to make themselves feel better by going on a power trip and making the children’s lives arbitrarily harder in the process. It sounds like you were bullying that kid and took some kind of satisfaction out of him losing all his work. Why couldn’t you just ask him to put headphones on? You should probably stay away from children in future.